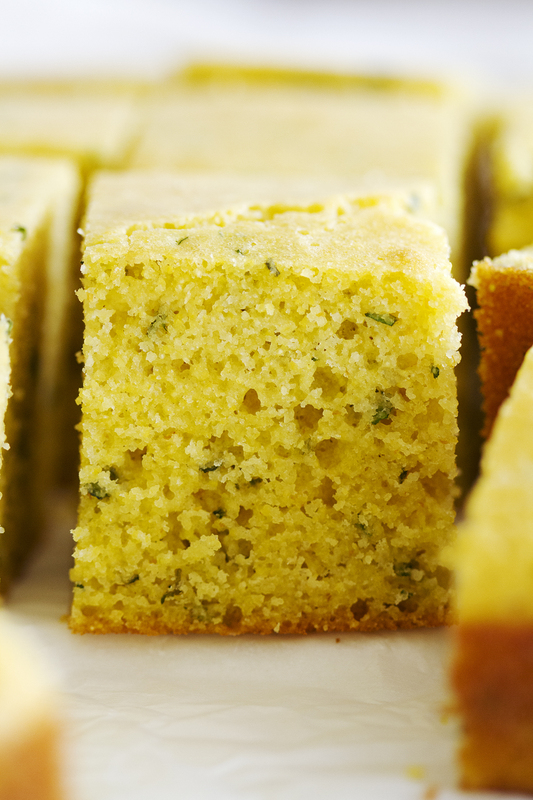 Herb cornbread, you complete me. You think I’m exaggerating, but it’s true. A life without delicious cornbread is a life not lived, I say. And this version, with its flavor infusion of fresh herbs and buttermilk, is tops. It goes with everything, from soup to chili to salad to brats on the grill. It says, “hello, warm weather!” as you’re about to take a generous bite. No, wait, it doesn’t say anything when you’re about to bite into it, because that would be weird. But you get the point. I actually baked this cornbread on a fairly cool and rainy day, but it still invoked in me a sense of fresh spring flavors and warmth and sunshine and eating al fresco. For me, cornbread is generally reserved for those chilly comfort food nights with chunky sweaters by the fireplace (or at least that’s how it is in my Pinterest life) with a big, hearty bowl of something soup-y in which to dunk it. 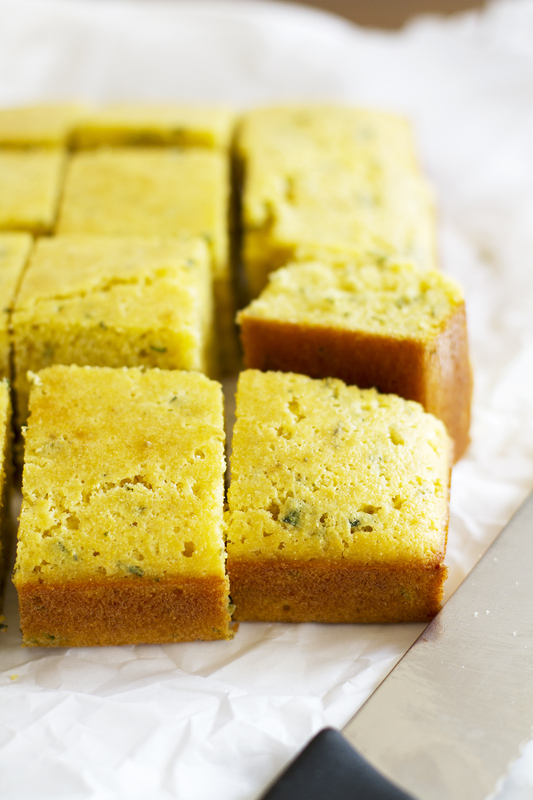 But this herb cornbread is different. 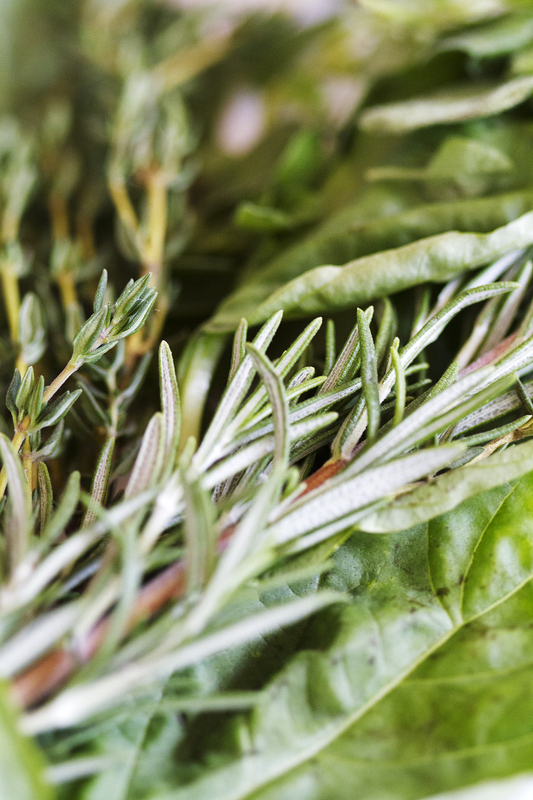 The fresh herbs give it brightness, greenery and an overall sense of… renewal? Is that too far for cornbread? I think maybe not. The point is you can make this cornbread to go with anything and everything, no matter the time of year. And you can pick the herbs you want to put into it based on the season/occasion, too. I used a combination of basil, thyme, sage and rosemary for this batch, but chives, parsley, oregano, dill and even cilantro also would work amazingly well. 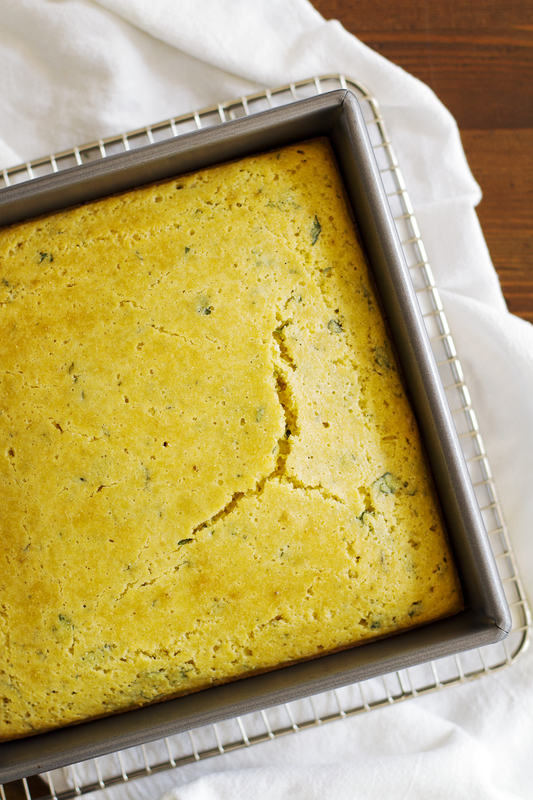 Think of it as a blank cornbread slate that you can fill in with any herb you love — bonus points if those herbs actually came from your garden, you green thumb, you. Since I’m not cool enough to have a green thumb (I’m currently trying to grow a basil plant indoors, though, and I haven’t killed it — yet! ), I spent the time I would otherwise be gardening devouring this cornbread. One night I had it with a black bean soup, and another night I had it with sausage and peppers. Tonight, I might just straight-up eat cornbread for dinner (in part because I forget to plan a meal for tonight, d’oh). And I am not mad at that. Look at those flecks of herb-y goodness, I mean, c’mon. Heat oven to 400 degrees F. Grease bottom and sides of 8-inch square pan with butter. In large bowl, whisk cornmeal, flour, sugar, baking powder, salt and baking soda until combined. 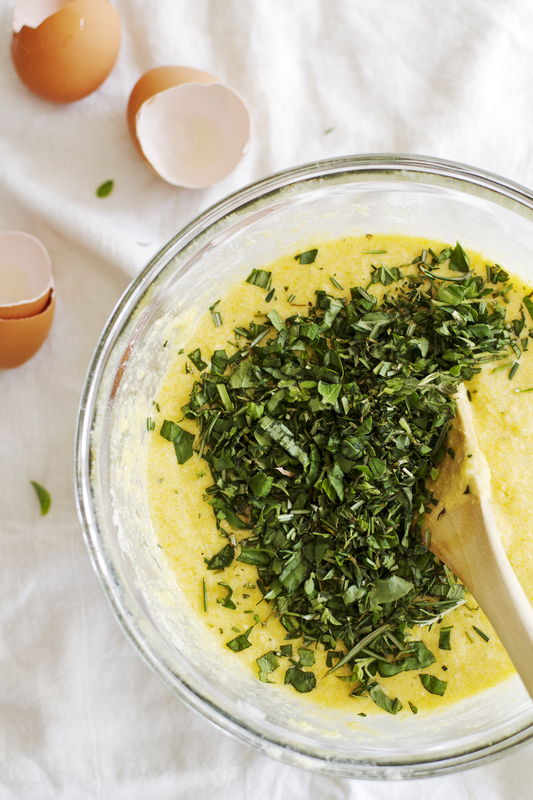 In medium bowl, whisk melted butter, buttermilk and eggs until combined. Pour wet ingredients into dry ingredients; stir until just combined. Stir in chopped fresh herbs. Pour batter into prepared pan. Bake 25 to 30 minutes until toothpick inserted in center comes out clean. Cool in pan on cooling rack 20 minutes before serving. Cornbread is truly a food for ALL meals. Your photos are so pretty I could weep. Miss you! What a great way to pack some flavor into dinner! I think this is the perfect cornbread to bridge the time between eating soup in chunky sweaters and eating brats outside with a beer. An all seasons cornbread, if you will. This will be the first place I turn the next time I make cornbread. Erin — Thanks, lady! Missing you so much! Allyson — YES. It totally is. Thanks! 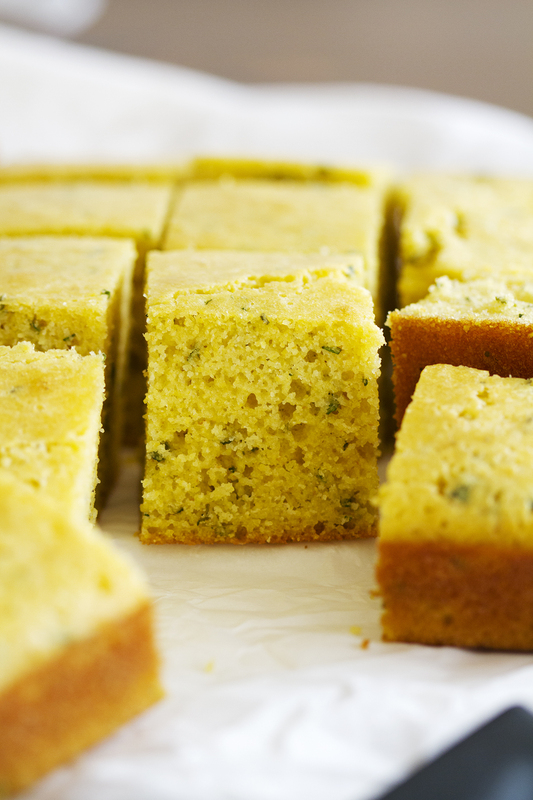 I so need this cornbread in my life, I’m loving all the herbs! 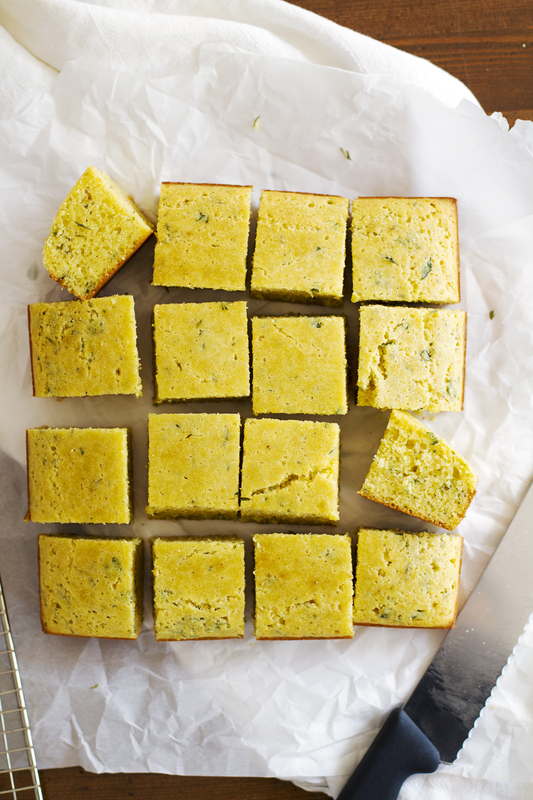 This cornbread looks fabulous and I love the herbs in it!! I have a weakness for warm cornbread slathered in butter and drizzled with honey!! ooooh I’m not a huge fan of cornbread usually but when you make it all herb-ed up and amazing like this…i def think that would change things!